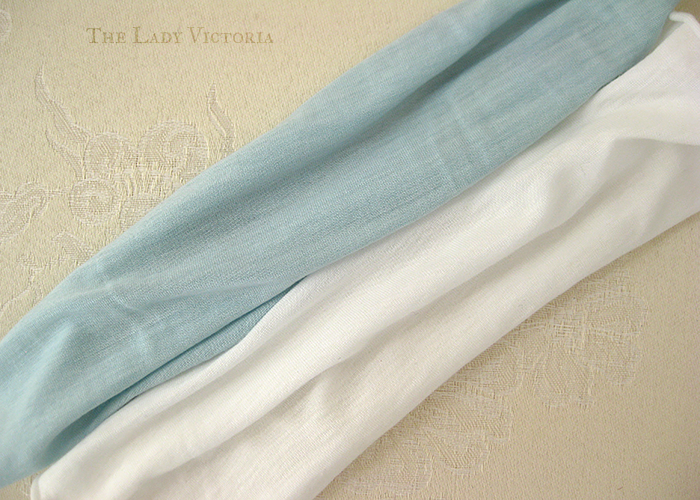 When I bought some cotton knit fabric to make my 18th Century stockings, it turned out to be blue instead of white. The light blue colour had photographed white and I'd ended up with a surprise when I opened the package. Luckily the fabric was 100% cotton, so I planned to bleach the remaining fabric. I had enough fabric left to make another two pairs of stockings, which was quite a lot to bleach. To save myself time and energy and supplies, I had already cut out the pattern for my stockings and put them to one side. This way I had less fabric to cover and a better chance of the bleach turning out right. Every fabric is different, so there's no guarantee that bleach will get you the results you want. My fabric was 100% cotton knit. Natural fabrics like cotton, linen, rayon work best, but polyester can be bleached too. Silk and wool are likely too delicate to be bleached. Bleach is a very harsh chemical, even the household stuff, so delicate fabric fibers will disintegrate. I should also point out that bleaching fabric should not be undertaken lightly, as chlorine bleach irreversibly weakens any fabric it's used on, so it can withstand less stress when you wear it. Don't be like me, buy the correct colour fabric to start with! 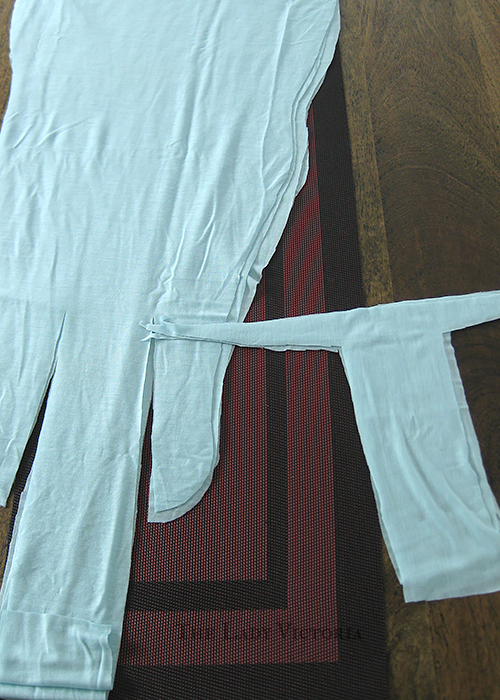 The blue colour of the cotton knit was already quite pale, so I knew it would be quite easy to bleach it. Darker or more vibrant colours can be lightened with bleach, but you won't be able to turn black fabric white. Fabric dye makes it way into the fibers of the fabric, and can be nearly impossible to remove completely. There are products like RIT Colour Remover that might also work to lighten fabric, but I haven't tried them. Since I had it on hand and wanted pure white, I stuck to bleach. 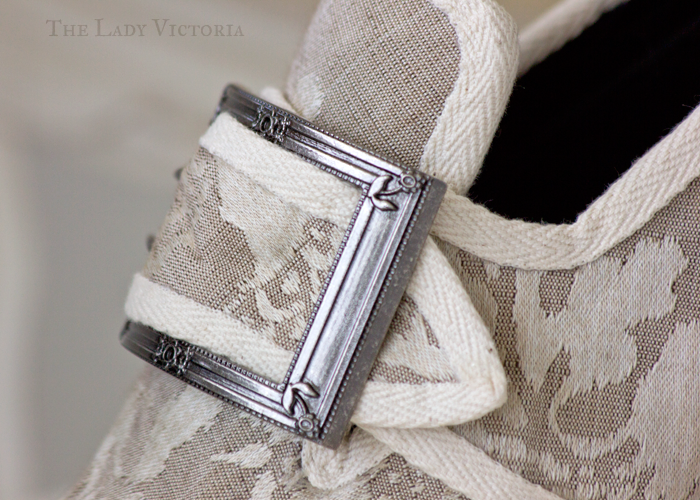 I started with a test on a small scrap of fabric. I'd highly recommend doing this to test what will happen when the bleach gets to work on your fabric. You might not get the result you want, and it's better to have ruined a small scrap than all of your fabric that could then have been used for something else. I mixed four parts water with one part household chlorine bleach in a small tub I use for hand-washing garments. I left the scrap in there for thirty minutes before going back to check. When I checked on it again it was pure white! I hadn't expected it to work so quickly or so well, and I could have probably taken it out sooner and still had it be pure white. The test piece wasn't patchy at all, and it hadn't disintegrated away into nothing. I rinsed it well in cold water and hung it up to dry. The test successful, I filled my bathtub with the same ratio of bleach and water - four parts water to one part bleach. It's recommended that you work outside with bleach, but I didn't have an outdoor area that I could use, or a container big enough that I could use anyway. So the bathtub it was. 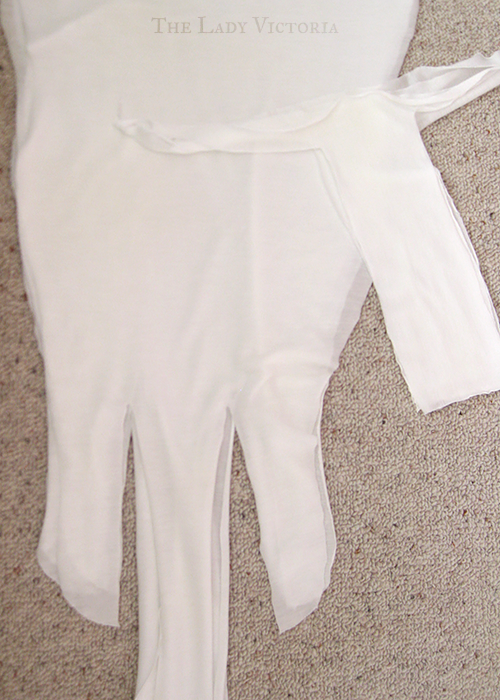 I wore rubber gloves to protect my hands, and used a long plastic ruler to stir and move the fabric. It is also recommended that you wear goggles to protect your eyes from stray splashes, but I didn't have any. Just use your common sense and don't go splashing around in bleach water. Since the bathtub was quite a bit bigger than the container I'd done my test scrap in, there wasn't quite as much coverage of the fabric. Luckily the stocking pieces were covered completely by the solution, and I sat diligently using the plastic ruler to push all the fabric underwater and getting rid of any air pockets. I left it for half an hour, and came back to some very white pieces of fabric. After checking that the bleach had worked on everything evenly, I rinsed the fabric well in the bath before moving it back to my small container. Now just because the fabric is out of the bleach, that doesn't mean the bleach has stopped working on it. A 'bleach stopper' is needed to neutralize the chemical process happening. Without this the chlorine can continue to work on the fabric and weaken it. For DIY bleaching, hydrogen peroxide is a common solution. There are a few products sold as bleach stoppers at American supermarkets that might also work, but here in New Zealand even finding hydrogen peroxide was a challenge. I had found a small bottle in a pharmacy that I hoped would be enough. I mixed one part hydrogen peroxide with ten parts water in my small tub, and mixed it well. I made sure that everything was mixed together well, again using rubber gloves and a plastic ruler. I left it for about ten minutes, then came back to check and stir everything around again. 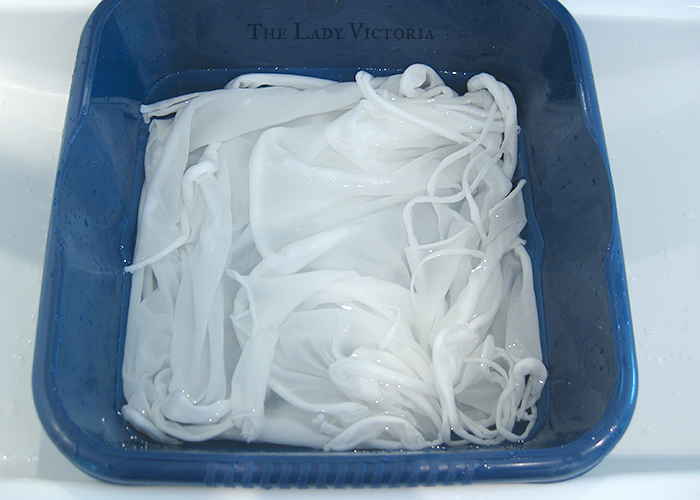 You need to make sure all parts of the fabric are getting treated, especially if you're using a small tub and things are cramped. In total I left it soaking for almost an hour, coming back to stir it every ten minutes. Then I rinsed out the peroxide and washed the pieces with some gentle handwash soap, then hung them out to dry. The next day all my fabric was dry and I inspected my results. All the pattern pieces are evenly bleached and they're a bright white colour. I would have been happy with cream or even an ivory, but they're very white, which is great! I'm lucky that the original blue colour was so pale, or I might have gotten worse results. There was a slightly slick feeling to the pattern pieces that the test piece didn't have. I'm not sure if this was the peroxide or the hand washing, but it wasn't too noticeable. The fabric also wasn't as soft as it has been, but that's to be expected. The edges were slightly frayed from all the handling. If I was to do this again I think I'd cut out my pattern with extra seam allowance to account for any damage or excessive fraying. Just to be sure. After I ironed all the pieces they looked great, and ready to be sewn up into stockings. I don't like wasting fabric or keeping a big stash, so I'm happy that I could turn some not-quite-right fabric into something much more useful. Even with limited resources I ended up with some beautiful white stockings. Although I won't be doing more bleaching any time soon, I'm glad I have a new skill in my creative library.